Dorothy Lindenburg was born in Rushmore, Minnesota to Leo and Grace (Hansen) Lindenburg on May 6, 1917. She attended school in Humboldt, South Dakota after moving there with her family. Dorothy married Joseph Jarding on September 10, 1946. They moved to Sioux Falls in 1953 and made their home there. She continued to live in Sioux Falls in her own home with her daughter until her passing. Dorothy lived life on her own terms. 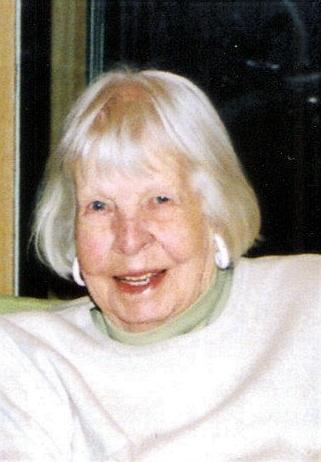 When she died on January 19, 2009, at the age of 91, she left behind a legacy of independence and personal freedom. She is survived by her family who respect her bold spirit; Kathy Jarding Hawthorne, her husband, Fred and their son, Rick; Christina Jarding Westerfeild, her husband, Mark and their daughter, Tiffany and her husband, Kevin Reiter and their son, Sky; Susan Jarding and her daughter, Jennifer; and a granddaughter, Leah. Dorothy will be greatly missed by her special pets as well as her family and many good friends. A Memorial Service will be Friday, 10:30 AM, at Hillcrest Baptist Church.